The materials on the Website of Bulgarian Companies Limited (hereinafter “website”) including text, images and other material (hereinafter “content”) are provided by Bulgarian Companies Limited for informational purposes only. By accessing the Website or downloading any Content you agree to be bound by the terms and conditions set out below. If you do not want to respect these terms and conditions, do not access the Website or download any Content. Bulgarian Companies Limited intends for the Content on the Website to be accurate and relevant. However, since the Content has been compiled by Bulgarian Companies Limited from a variety of sources, it is provided to you as is and as available. Bulgarian Companies Limited assumes no responsibility to you or any third party for any errors or omissions of any kind in the Content. Links available on the Website will allow you to link to other websites not maintained or controlled by Bulgarian Companies Limited. Bulgarian Companies Limited provides these links for you and is not responsible for the contents of any linked site. 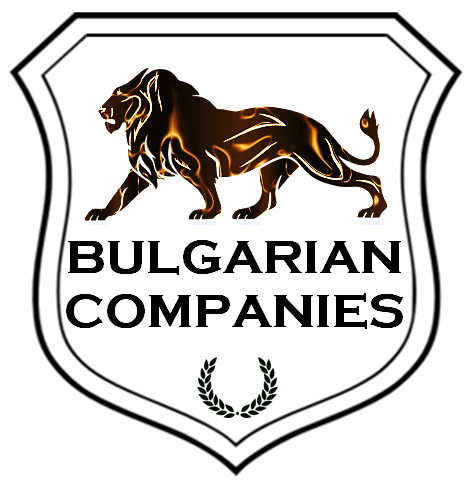 Bulgarian Companies Limited uses reasonable efforts to ensure the accuracy of its Content on the Website but cannot and does warrant the accuracy, completeness of information found on these websites. It is your responsibility to verify the accuracy and completeness of information found on the linked websites. You may not post, upload, publish, reproduce, transmit or otherwise distribute information or any other material on this Site which constitutes a criminal offense giving rise to criminal and civil liability or which is protected by copyright or, other intellectual property right, or derivative works without obtaining permission of the copyrights holder. All Content published on or otherwise accessible through this Website is protected by copyright. The Content, and the copyright in the Content, are owned or controlled by Bulgarian Companies Limited. You may only use or reproduce the information in the Content for your own personal, non-commercial or educational use. The Content may not be otherwise used, reproduced, broadcast, published or retransmitted without the prior written permission of the copyright holder. You must abide by all copyright notices, information and restrictions contained in any Content on or accessed through the Website, and maintain such notices in the Content. Bulgarian Companies Limited reserves the right to change or remove any Content from the Website, in whole or any part, as its sole discretion, at any time and without notice. The conditions set above and found herein are a binding part of and constitutes the entire agreement between Bulgarian Companies Limited and you with respect to your use of this Website. Bulgarian Companies Limited failure to insist upon or enforce strict performance of any provision of this Agreement shall not be construed as a waiver of any provision or right. If any of conditions is determined to be void, invalid or otherwise unenforceable by a court of competent jurisdiction, such determination shall not affect the remaining provisions hereof. This Agreement shall be governed by and construed in accordance with the laws of the Republic of Bulgaria. The parties have required that these Terms and Conditions and all related documents be drawn up in English.